Critique™ is Clark Construction Company’s proprietary constructability review process that creates a smoother construction process. Requests for Information (RFIs) can be reduced substantially with our construct ability review process. 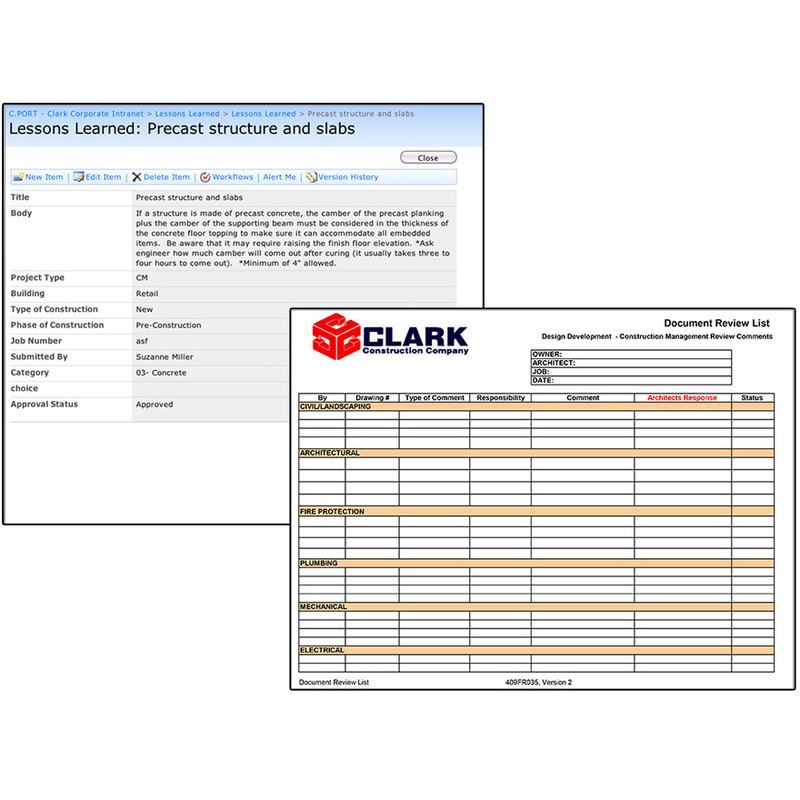 Our Project Manager and Superintendent together with our Planning Department will review project documents against our Project Evaluation Database looking specifically for “lessons learned” and for clarity and content, or lack thereof. 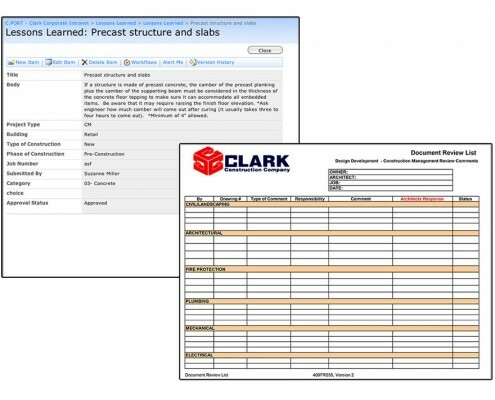 Every Clark project is checked against this database, which currently contains thousands of items that are reviewed. After the documents have been reviewed by the Planning and Project Team, a “Document Review List” is generated. This report is distributed to the entire team for review and sign off.